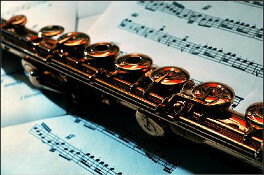 Welcome to IndyFlute – The Greater Indianapolis Flute Club. Whatever your experience – from beginner student to teacher to professional musician – you are welcome to share your passion for your instrument and join fluters from across the Midwest in promoting our region and our music. You don’t even have to play to join! If you have a love for the instrument and the repertoire – or just have a flute player in your life – you are welcome. We’re here for you!